"We Keep Water In Its Place"
Let the professional installers of Interior Channel Basement Waterproofing and foundation repair of Toledo safeguard your home against hazardous mold and costly repairs. With over 32 years of experience serving the Toledo area, we offer expert basement waterproofing with our advanced Drain Tile Systems with no digging and no mess. 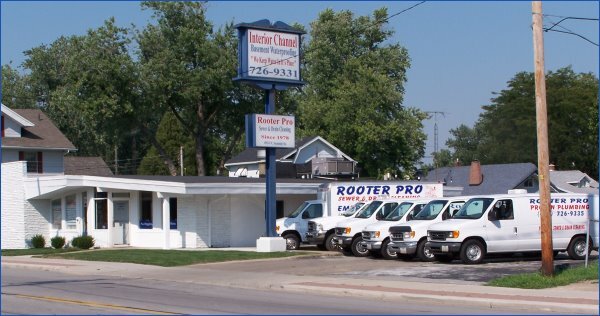 We’re a full-service company, and we can also solve your sewer and drain problems. From minor water leaks to foundation repair we do it all. We are your basement waterproofing experts. Your basement is probably one of the most neglected places in your house. It is also one of the most important. A huge rainstorm, melting snow or pre-existing cracks can lead to minor water leaks and potentially major problems down the road. Besides being unpleasant, a wet basement also promotes the growth of mold and mildew. From minor leaks to foundation repair we do it all. Keeping Toledo area basements dry since 1978. We offer free estimates, free inspections and 24-hour service, so call us with any problem anytime. Ask about our 100% financing plans and senior discounts. We are licensed and insured in Ohio, Michigan and Indiana. We offer warranties on all of our work. We are a member of the Better Business Bureau, the Chamber of Commerce and the Point Place Business Association.